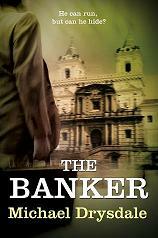 THE BANKER has been selected for this month’s Kindle store 100 under £2.99 promotion. Each month Amazon picks 100 titles (out of over 900,000 in Kindle store) and promotes them. The promoted book has to be priced under £2.99, at least for the promotion period. This will help sales, but by how much remains to be seen. So far I’ve reached 4,100 in the UK Kindle rankings which is the highest so far. According to novelrank it equates to aboout 10 sales in the first 3 days of June, so still short of bestseller figures.